As soon as this ensemble popped up on my feed I was on a mission to track down these stripey trews. 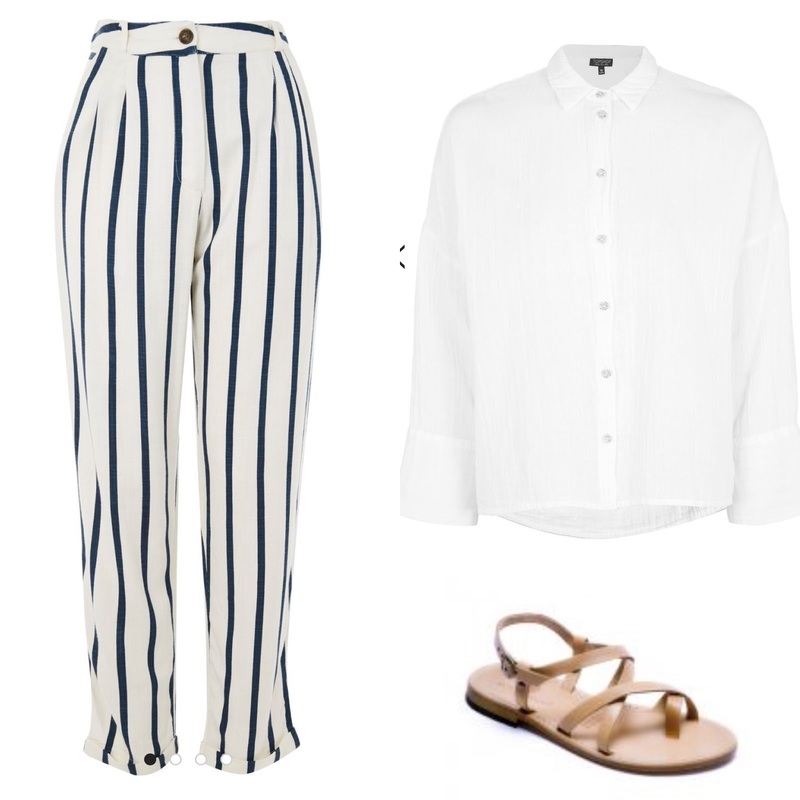 Trousers Shirt Sandals 15% off with discount code MYFASHIONABLE40S There are only a few sizes left in the trousers so I have found alternatives here, here and here. I shall be sporting my new strides tomorrow....so check out my Instagram to see! As per usual a few outfits to share. So who knew about the save it button on Instagram? Has anyone else got any tips regarding Insta tools they care to share? I'm all ears! I keep threatening a sale blog post but in truth nothing much has grabbed me yet. The only purchase I've made is this Zara top. I hoping I get lucky with the sale dregs but I shall keep you posted if I find anything of note! Can I ask about the sizing of the Mango blue dress, it's gorgeous! I love the little tagging feature. I think I first used it last year to save some pics from IG of some Christmas wreath inspiration and it's brilliant when you know you've been tagged by someone but you don't have time to respond straightaway. I used to get a #widn as I was doing a supermarket shop and be stood in the shopping aisle and then forget who it was from by the time I got home! Perfect for those with a sieve like memory like mine. Love the stripy trews and the fan bag! I didn't know about the Insta save tool (quite new to Insta, which I regret! ).